Looking for some best Android games under 100MB? Then here’s the list of best Android games under 100MB that are recently out on Google Play Store. The list includes racing, action, challenging platformer, strategy, and more games. 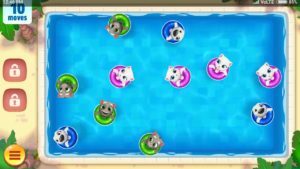 Talking Tom Pool is an offline Arcade game for Android, similar to match 3 games. It features all the characters of talking tom series, fun & addictive challenging levels, beautiful graphics and much more. 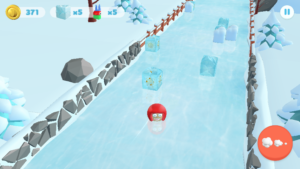 In the game, you solve puzzles, pull back the floaties, choose the right angle, release, and complete the task. You have limited moves, the goal is to clear the pool. Can you complete the goal using the minimum number of moves? Talking Tom Pool is among top best Android games under 100MB, it is too addictive & time killer game. Download – here(Google Play Store). Dragon Pals Mobile is a new strategy game by Reality Squared Games and one of the best Android games under 100MB. In the game, you build a bustling city with numerous resources such as habitats, farms, temples, and more. You have to discover and rescue all dragons and complete your dragon book. Some dragons are very common while some are rare. Collect dragons, upgrade them, and win 3v3 battles. Can you find all dragons in a short time? Dragon Pals Mobile is addictive, time killer, and challenging game under 100MB. 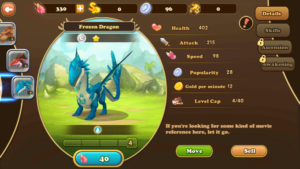 ⇒ Read The Ultimate Guide To Dragon Pals Mobile Game. Geometry Dash SubZero is another one of the best Android games under 100MB. Every game in this series crossed over 10 million downloads on Google Play Store. 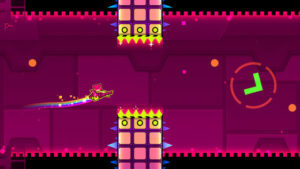 It is a rhythm-based action platformer game in which you jump through various obstacles. Your character moves automatically, just tap on the screen at the right time to jump over the obstacle. It has three unique levels with amazing music from MDK, Bossfight and Boom Kitty. If you love challenging Android games, then you should play Geometry Dash SubZero. Download – Here[Google Play Store]. 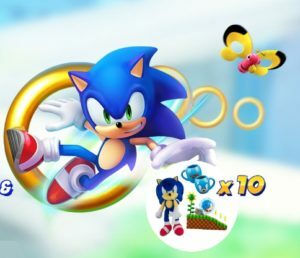 Sonic Forces: Speed Battle by SEGA is also one of the best Android games under 100MB in which you compete for the #1 rank with real players from around the world. 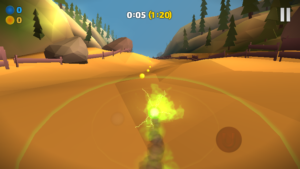 You can drive other players into obstacles and badniks with mines, lightning, fireballs, tornados, and more. Run faster, dodge, attack, and get the first rank by defeating other players. In Sonic Forces: Speed Battle, race as Sonic, Amy, Knuckles, and more. Upgrade your character to win every race. ⇒Read more/Download. In the game, you have to complete tasks such as repairing, building, and many more. You play mini-games, earn coins, and spend these coins in completing these tasks. Initially, some mini-games, as well as some towns, are locked. Mini-games are Challenging, addictive, and time killer. Each character has limited life points. You will lose these points when you play mini-games. ⇒Read more/Download. In the game, you play as Pukk, a treasure hunter guy. A Polar bear is chasing him. You have to avoid all the obstacles, smash the wooden boxes to collect gold coins. You have to control the speed of your character, helps you in proper navigation and avoiding the obstacles. It is challenging, has the cool design, relaxing gameplay, and one of the best android games under 100MB. ⇒ Read more/Download. Slope Down is a racing type game in which your goal is to collect the crystal. In the game, there are two types of controls option – tilt and touch. Use anyone and control your character, avoid obstacles, and collect gold coins, power-ups to boost up the speed. Numerous beautiful landscapes are featured in this game which is really cool and attractive. You can experience a very high-speed gameplay in this game. ⇒ Read more/Download. 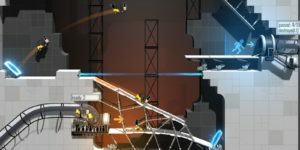 Bridge Constructor Portal is a premium game and one of the best android games under 100MB. It is a puzzle game in which you help vehicles to reach their destination. You build bridges, test them, and let the vehicles drive safely on these bridges. However, there are many puzzle games like this are available for free. If you love bridge constructor games, then you should play it once – Download – Here[Google Play Store]. 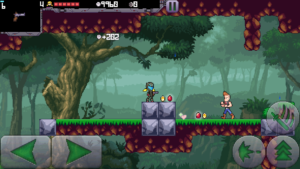 Cally’s caves is one of the best Android games under 100MB in platform game category. It is a run-and-gun game in which you slay down bad guys, find and collect new weapons, and complete your goal. It has three zones, over 300 challenging levels – Regular, Survival, and Qwerty zone. Gameplay is addictive, challenging, and awesome. ⇒ Read more/Download. 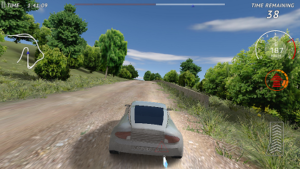 In racing games under 100MB, Rally Fury – Extreme Racing should be the first choice because it is offline and with superb graphics. It has two types of controls – tilt and touch. In the game, you compete with other cars for the first rank. Complete the objectives, collect in-game currency, and upgrade your cars for the best performance. ⇒ Read more/Download. Path Through The Forest is another puzzle game for Android in which you help your character by finding the path. Overcome the challenges that lie ahead in this puzzle adventure Android game. It is a beautiful puzzle game for puzzle game lovers. Download – Here[Google Play Store]. Cyber Swiper is a simple yet challenging game, developed by isTom Games team. 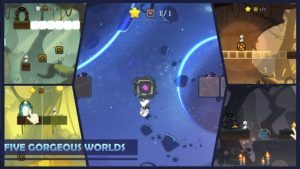 In this game, you explore unique worlds, avoid traps, and reach the destination. You just swipe left and right to move the ball on the wall of the tunnel. Download – Here[Google Play Store]. 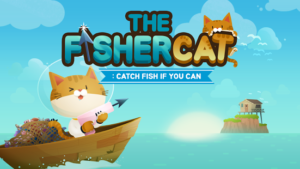 The Fishercat is among new best Android games under 100MB. In the game, you play as a cat. You catch fish with many types of equipment such as harpoon, fishnet, electric bomb, and bait. Upgrade your harpoon to shoot down rare and epic fish, upgrade the air tank to catch more fish, use bait to attract fish, use fishnet to catch big fish, and complete the fish book. Deal with peddler to get coins in exchange for parts. 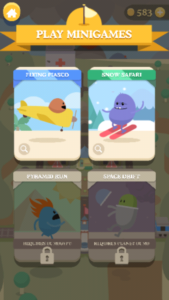 Can you collect rare and epic fish? It is one of the best fishing Android games 2018. ⇒ Read More/Download. These are the top new best Android games under 100MB which worth playing. We will update this post with more new best Android games under 100MB. For Deal Alerts, New Game Release, Updates, News Please Join Us – Like Us On Facebook – MrGuider, Follow Us On Twitter – @techhuntr. Subscribe Us To Get Updates. Give Your Suggestions – Here. 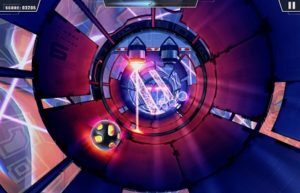 [Must See – Top new Android Games Today].